Steamboat Springs - Town & Country Properties, Inc.
Steamboat Springs is also known as “Ski Town USA”, for the fact that this town has produced more winter Olympians than any other town in the country. Back in 1912, Norwegian Carl Howelsen arrived in town. In addition to using skis as transportation, he introduced the sport of ski jumping, and also started the Winter Carnival, which is still held every year. Howelsen Hill, located in the downtown area, bears his name. Be sure to check out the ski jumps there, where Olympians and future hopefuls fly through the air! 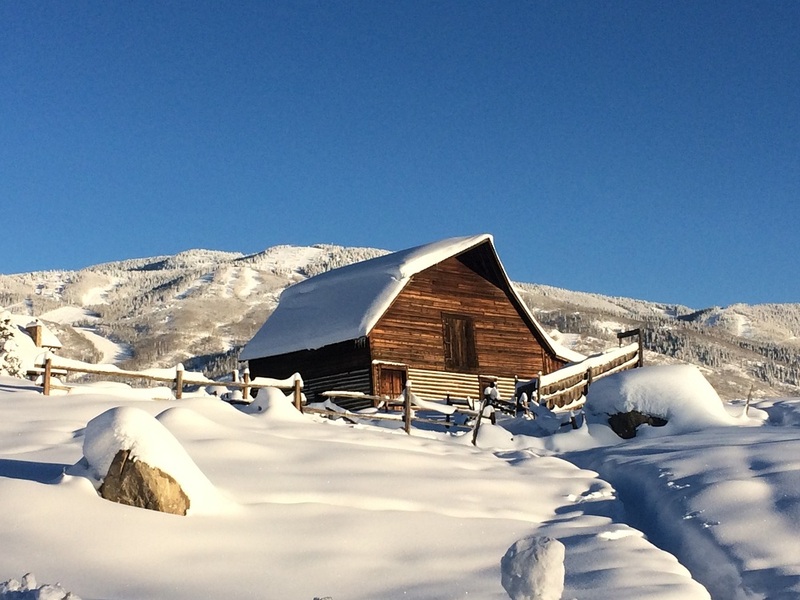 Long before Steamboat became famous for skiing, it was a ranching community. The Western charm and hospitality is still present today. In 1961 the Steamboat Springs ski area opened. It is a world class destination, famous for the “Champagne Powder”. The ski base area has undergone some big renovations in recent years, and is a great place to hang out and people watch. Winter and summer activities abound! In the summer, try a hike up Fish Creek Falls, or mountain biking at Emerald Mountain. Or, you can go tubing or fishing in the Yampa River. If horses are more your thing, check out the weekly rodeos. There are natural hot springs to soak away the day, cross country skiing, and hot air balloon rides. In addition to the outdoor activities, Steamboat is also home to visual and performing arts, culture, and more. You can go full steam ahead, or kick back and relax. There is something for everyone here!